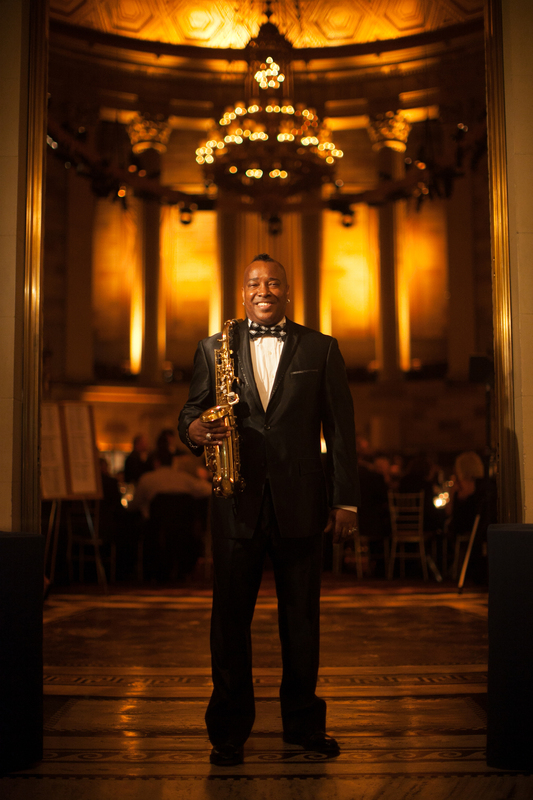 A Queens, New York native, Reggie Woods is a Saxophonist, Composer, Arranger, Producer and Educator who has been influenced by legendary Jazz saxophonists Gene Ammons and Dexter Gordon. While his sound is reminiscent of these masters of Jazz, you will be moved by his individual soulful sound from the sweet melodic mature tones of his tenor, alto and soprano saxophones. A gifted and versatile performer, Reggie has played and recorded with some of the top artists in the business. Although Jazz is his first love, he has added a special quality to his live and recorded sessions with Rap, Pop, Funk and Blues genres, as well. A graduate of New York University [Master of Arts in Music Education and Kodaly Certification], Long Island University [Bachelor of Arts in Music Performance] and Five Towns College [Associate of Applied Science in Music Performance], a Certified Prevention Professional [OASAS]. Reggie continues to pursue advanced training in music education and counseling. He is a National Endowment Recipient for Jazz Performance and recipient of the Satchmo Music Entertainment Award. Reggie has performed with Najee, the late Isaac Hayes, Bill Saxton, Greg Osby, Bross Townsend, Jimmy Heath, Betty Carter, Doc Cheatham, the late Ben E. King, Aaron Hall, R. Kelly, RUN DMC, Vanessa Rubin, Rhonda Ross and Hank Shakley from Public Enemy. Reggie and his group have performed a private party alongside Stevie Wonder at Kona Island, Hawaii and opened for Tony Bennett for former President Bill Clinton&#39;s Global Initiative Program held at The Sheraton Hotel in New York City. They have been featured on the Today Show Wedding Series, The Insider and Oprah Winfrey Shows. I’m writing to share with you my experience with Reggie Woods and The Soul Street Band. Last night, I got married at The Garden City Hotel and Reggie Woods and his band performed for us. They were spectacular from start to finish. When I met with Reggie and Lynette I told Reggie I wanted to walk down the aisle to “Bittersweet Symphony”. He assured me that he and his band can play that. When it came time to the professional not only did he follow through but it was the most beautiful music I ever heard. Fast forward to the party- Reggie and his team were unbelievable. They played all our favorite music and their enthusiasm got all of our guests on the dance floor!!! Everyone came up to us to tell us how wonderful our band was. Today we got many phone calls asking us who our band was and to tell us that our band was awesome! I cannot thank Reggie Woods and The Soul Street Band enough. I have to give a shout out to Lynette who was extremely professional and timely answering emails and walking us through the night. We had a wonderful experience and we will continue recommending them to everyone we know! Just wanted to drop a short note telling you how over the top the Reggie Woods Band was on Saturday night at our daughter’s wedding. Reggie and his crew electrified the room and had everyone up on their feet for every song. They were very professional prior to our event and took all the directions that Jessica and Alec provided to make a personal and special experience. The phone hasn’t stopped ringing and there are always high praise for the band. The singers were unbelievable and the music phenomenal. When we met with you about a year ago you asked us if we wanted a band with true soul Well that’s exactly what we got. We couldn’t have been happier!!!!!! Once again The Reggie Woods Band was a perfect fit!!!! !